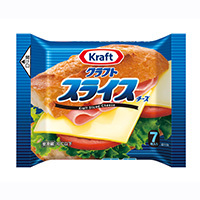 Sliced cheese with an excellent creamy flavor and crispy aftertaste. Also good on bread. A pre-sliced cheese released in 1990. 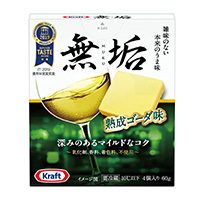 Enjoy a "convenient" slice of cheese with a smooth texture and pleasant flavor. 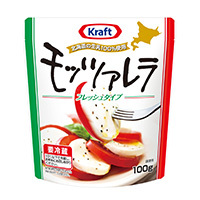 A mozzarella cheese with a fluffy milk taste and chewy texture. 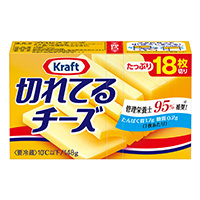 Made from fresh raw milk from Hokkaido, the heartland for dairy in Japan. 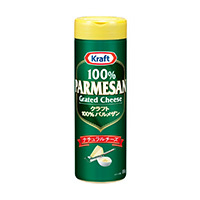 100% natural Parmesan cheese from the US. The globally recognized green package is proof of the rich flavor and taste. 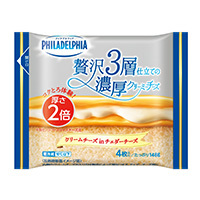 Japan’s first triple-layer cheese*: a luxurious cream cheese sandwiched between thick layers of cheddar. 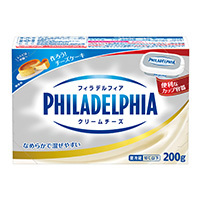 A world-renowned orthodox cream cheese made from a luxurious blend of fresh raw milk and cream from Hokkaido. Famous for the creamy-rich taste unique to natural cheese. A snack with an enjoyably pure cheese flavor. We use a new proprietary technology called the Muku (pure) processing method, a patent-pending solid manufacturing method to improve the deep cheese flavor and smooth texture. 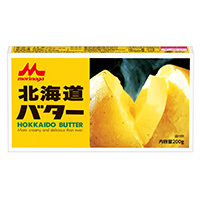 Smooth, creamy butter made from fresh raw milk from Hokkaido.